Budget 2014: How it affects you! 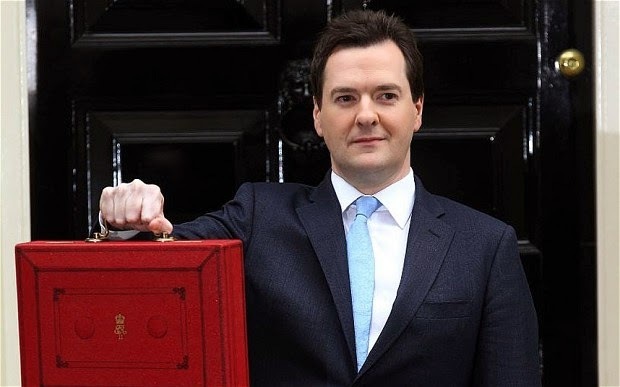 The Chancellor has announced this year’s budget. He set out the latest economic forecast and his plans for invigorating the economy, managing the money coming into the Treasury and improving things for “the makers, the doers, and the savers”. The first part of the government’s Help to Buy scheme, Help to Buy equity loans, will now run until the end of the end of the decade (2020), the Chancellor announced today. Government-backed Help to Buy equity loans are available to help people with as little as a 5% deposit for purchasing a new-build property (For more info see - http://blog.discountlandlord.co.uk/2014/02/helpful-tips-that-first-time-home.html). This part of the Help to Buy scheme has been extended by four years in order to help more people get onto the property ladder, and hence encourage further investment into the UK construction industry. The chancellor said 120,000 new homes would be built as a part of the scheme. More foreign millionaires buying properties in the UK will be caught in the stamp duty net after the Chancellor clamped down on the practice of getting around the tax by making their purchases through companies. The chancellor had already imposed the duty on all properties bought through a ‘corporate envelope’ above £2m. However, from the 20th March 2014 it will fall to just £500,000. Meaning that practically every property in London bought for investment purposes by the international rich through companies will fall into the 15 per cent tax bracket. The Chancellor confirmed that a new garden city will be built in Ebbsfleet, Kent, including 15,000 new homes. The Thames Estuary site has been chosen because of its strong transport links and availability of land for development. A new urban development corporation will be set up to lead on the construction of the new community. Furthermore, there will also be funding for regeneration in Brent Cross and development in Barking Riverside in greater London, other property developments will also be supported through £500 million for small house-building companies in a new Builders Finance Fund. A new ‘Right to Build’ scheme will also be launched and allocated £150m of funding to help individuals build their own property. The personal allowance will increase by £500 to £10,500 next year, meaning you pay no tax on the first £10,500 you earn each year. The Chancellor said next year’s change will mean 3 million of the lowest paid will pay no tax at all. From April 1, 2015, the tax on long-haul flights between 4,001 and 6,000 miles will be reduced by £14 per person, while those over 6,000 miles will be cut by £26. The move will save a family of four £56 when visit destination such as the Caribbean, India or Thailand, or £104 when visiting Australia, Argentina or Singapore. Planned rises on alcohol duty have been scrapped – meaning duty rises will now be in line with inflation. There were exceptions though; duty on spirits have been frozen, and on ordinary cider too. Good news is that the cost of a pint of beer should fall by a penny! Despite these measures we understand that household budgets will still be tight for some, so save what you can on your insurance with Discount Insurance.